It seems the Fisher Scientific 1546216Q Water Bath ID #: 18311 has been sold and is no longer available. Looking for similar items? Click Here to easily view our available inventory similar to your search. Fisher Scientific Isotemp digital-control water baths are ideal for industrial, pharmaceutical, clinical, and biomedical procedures. 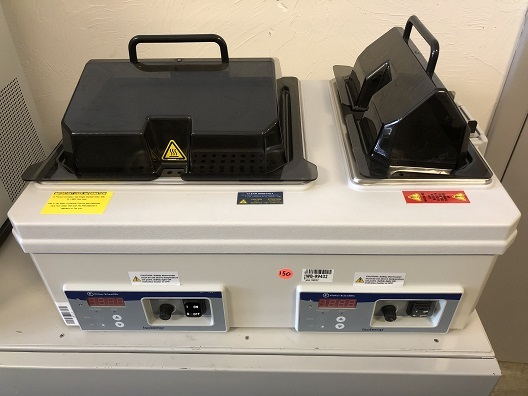 The product features dual thermostats to guard against thermal runaway, and hinged acrylic or stainless-steel gable covers that have ‘fins’ that keep hands away from hot vapors, and integrated safety protocols to prevent burning of heating elements if the water bath accidentally runs dry. Thank you for your interest in the Fisher Scientific 1546216Q Water Bath (ID #: 18311). To speak with a representative, please fill out the contact form below or call us directly.